You’ve picked your dress, your shoes and your accessories. You’ve found your date, arranged for a limo and booked your pedicure. But, have you chosen your prom hairstyle yet? With prom season fast approaching, it is time to start dreaming of how you would like to style your hair. To help you out, the Caralyn’s Hair Design team has collected the top 5 go-to prom hairstyles for this spring. Which prom hairstyle will you choose for your big day? Updos are one of the most classic prom hairstyles around. This hairstyle is extremely popular because it can be adapted for any hair type and length. Updos can be dressed up with subtle curls and braids, or made simple with a standard centre part. This hairstyle is simple, but its simplicity adds to the elegance and sophistication of the look. The best part? 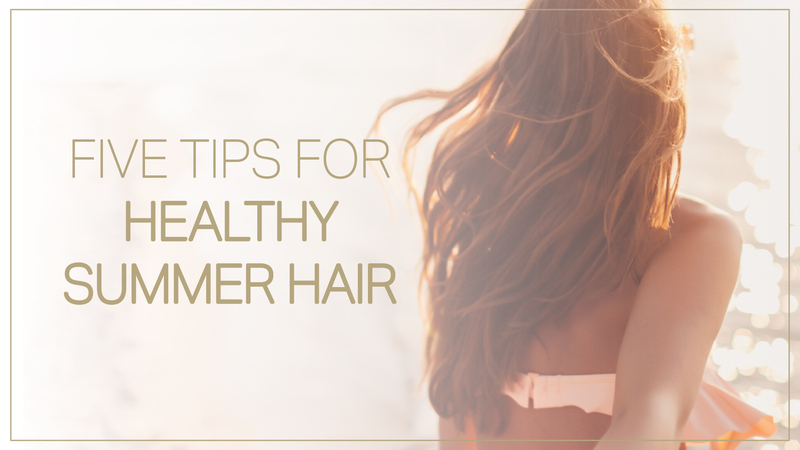 Your hair will be up and out of your face all night, so you won’t have to worry about it! Waves and curls are simple, yet glamorous. They are an easy way to create the look of more voluminous hair while dressing up your locks with minimal effort. Luckily for you, you can create gorgeous curls with a curling wand in the comfort of your own home. Not really sure how to create this look? take your curls to the next level and book an appointment with your hairstylist to create this look for you. Your hairstylist will make sure each hair on your head is in its place. Add to your look even further by adding in extensions. 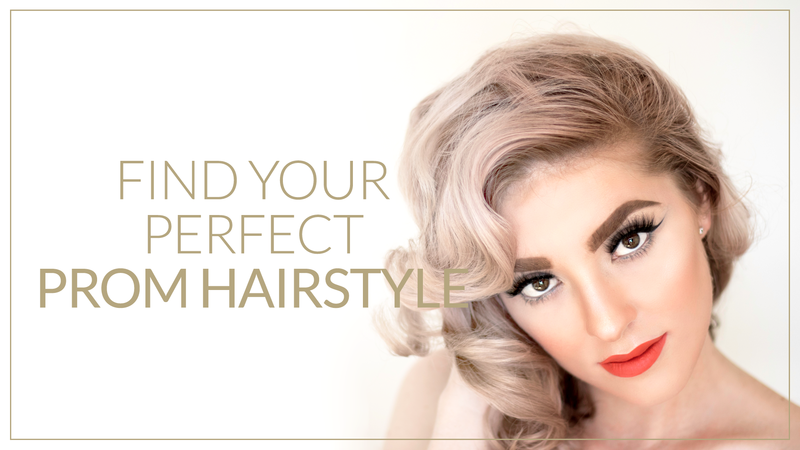 Caralyn’s offers permanent and non-permanent extension options to help you attain the prom hairstyle of your dreams. A slicked back high ponytail is one of 2018’s most popular hairstyles. First, simply comb back all of your hair (no part required!) and then gather it into a high ponytail near the crown of the head. Make sure to use hairspray to secure any “baby hairs” to keep your sleek look. Carefully straightened hair is the most versatile hairstyle of 2018. Achieve this look simply by using a flat-iron to smooth out any waves in your hair and create length. Most importantly, use a heat protectant product to help your hair keep its shine and protect it from any damage. Now that you have your beautifully straightened locks, you will be able to keep this easy-to-maintain look all night long; even while dancing the night away! This style could also benefit from hair extensions by adding more volume and length. Call Caralyn’s to book an appointment to have your new extensions added in. Add in a french braid or two to create some flare in your prom hairstyle. Whether you french braid your bangs, or add them into an updo, french braids tend to liven up a standard look. French braids are also versatile; they can be added into long hair or short hair; thin hair or thick hair. Simply adding in some texture to one of your prom hairstyles will ensure that you are photo-ready on your prom day. With this much hair inspiration, we know it may be difficult to choose your prom hairstyle. 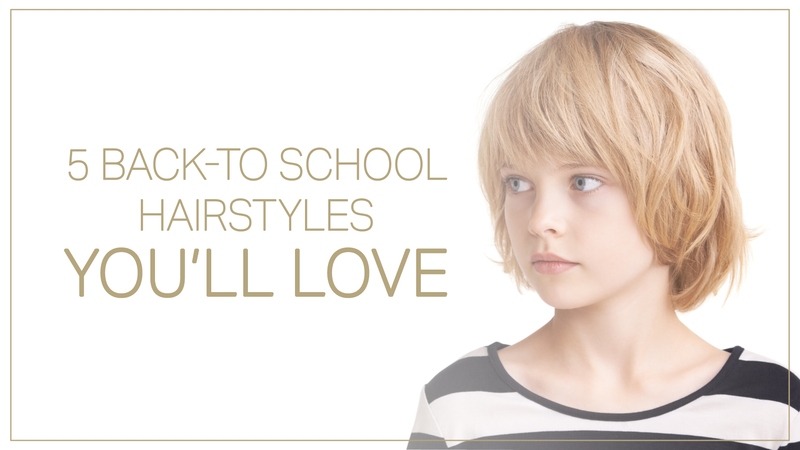 Consult with your hairstylist to get an idea of the look that would best suit you. Call Caralyn’s Hair Design to book an appointment with one of our hair specialists and make sure your locks are prom-ready. The Mother’s Day Gift She Really Wants: A Day At the Salon! Your mom is a cut above the rest; she has been there through it all. She has stuck it out through all of the stomach flus, art-projects-gone wrong, break-ups and dreams-come-true. Mother’s Day is on its way and it’s time to show a little (or a lot of) appreciation for everything she does. While your mom has politely accepted and praised the gifts of flowers, chocolates and more coffee mugs up until now, on Sunday, May 13, give mom the Mother’s Day gift she really wants: a day of pampering at the salon. 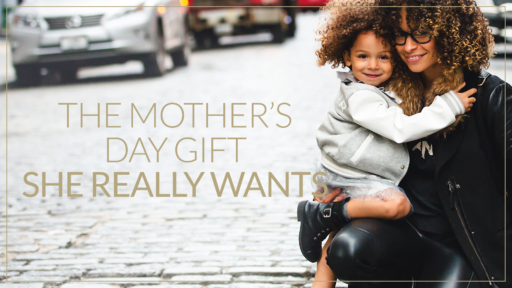 If you want to make this year’s Mother’s Day gift an extra special one, pick your mom’s favourite salon to eliminate any awkward or time-consuming formalities involved in meeting a new hair stylist. Next, find out which treatments your mom is most interested in. Does she want to change up her current look? Would she rather sit back, relax and enjoy a manicure? Whatever her favourite indulgence may be, Caralyn’s offers a wide array of salon and spa services. If you want to take her Mother’s Day gift to the next level, book a couple of different treatments so that she will leave the salon feeling rejuvenated from head to toe. Here are five services we offer that we think your mom will enjoy. Treat her to a cut and style to change up her look just in time for summer. Maybe your mom wants to make a bold statement or simply add a little “oomph;” hair colouring is a great place to start. If your mom feels extra adventurous, perhaps she would like to try out a pastel hair colour, just in time for spring! Make sure your mom knows how special she is and treat her to a spa manicure and pedicure for full indulgence, our mani/pedi service is pampering at its finest. A mani/pedi is also great way to spend some quality time together, so take the opportunity to carve some time out and make an appointment for the both of you. Facials revitalize, moisturize and soothe the skin which leave the face feeling refreshed and youthful. What better way to celebrate your mom than to help her feel her very best? Does your mom dream of her long, luscious locks from her ’20’s? Add some length back to her ‘do with extensions, one of our specialty services. With her new voluminous hair, your mom will feel youthful and ready to take on the world. For more information and for a more detailed list of our salon and spa services, visit our website. If you are ready to make your mom’s Mother’s Day gift the best yet, call us at 613-224-7206 to book an appointment. Does your mom prefer the comfort of her own home? Inquire at Caralyn’s for the possibility of off-site services. Thank you, moms, for all you do! With the arrival of spring 2018 comes a new hair colour inspiration. Stylists have left the drab and grey colours of winter behind and have fully embraced hues with a little more oomph. Influenced by light and gentle traditional spring colours, pastel hair is very popular this spring. If you are ready for a fresh look, stand out with a stunning pastel palette. What Exactly Is Pastel Hair? 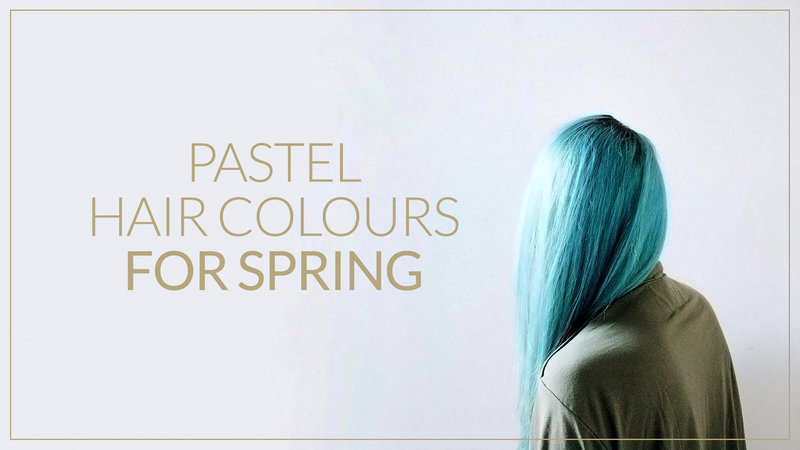 Pastel hair colours instantly brighten your entire appearance. These gentle colours soften the look of your hair, but also make a bold statement. Be inspired by a huge variety of colours to satisfy your passion for colour, such as lavender, rose gold, coral, light teal, purple or a mix of colours that some stylists have called “unicorn” or “mermaid” hair. Is Pastel Hair For Me? The current pastel hair colour trend works for both men and women. Celebrities like Zayn Malik, Joe Jonas, Britney Spears, Katy Perry and Kylie Jenner have recently rocked this colour trend. The best part is that these lighter shades work extraordinarily with any hair length. Combine your new hair with the most popular 2018 hairstyles, like voluminous curls, braids, playful ponytails or other accessories and you will be ready to take on any event that comes your way this spring. Is Pastel Hair Easy to Maintain? Pastel hair will require a little more upkeep than natural hair. While this vibrant trend is stunning, it is important to remember how much work needs to go into attaining and maintaining these spring-inspired colours. Soft pastel colours are not obvious in combination with natural blonde hair, and especially not on dark hair. Hairstylists suggest starting a pastel hair colour journey by first bleaching your hair to strip away colour molecules. After this process, the hair becomes more porous and the dye can bond more easily to the hair. Stylists suggest washing your hair less, or simply using dry shampoo more often as a way to nurture your new colour. Unfortunately, the reality is that the more colourful your hair, the more maintenance it will need. Regular visits to the hair salon will become necessary to keep the vivid colours. Are you ready to stand out with pastel hair? Contact Caralyn’s at 613-224-7206 or on our website to book your appointment and to change up your look this spring. Caralyn’s hair is more than a cutting-edge salon in the Nation’s Capital. Among the team of highly trained salon “artists”, the owner, Caralyn is passionately involved in helping people of all ages feel good about themselves again, and radiate confidence in times they have lost it. Some of these clients include; patients experiencing hair loss for a wide variety of medical reasons, hormone imbalance, hair loss due to genetics, going through an identity crisis and wanting to take on a different persona and express their alter ego, or simply want to be current and in-keeping with trends without the hassle of styling their own hair. Reasons for exploring a new look with wigs are very personal, and the good news is that it’s customizable to you, with absolutely no judgement. The team at Caralyn’s understands that when you look good, you feel good! Whether using a new hair product, or getting a simple trim on the hair salon side, to a toupee or wig…the choices are there for you. Invest in a complete makeover with top of the line and customizable wigs at competitive prices. Wearing a wig should go unnoticed. With real hair, and quality synthetic, the aim is to look harmonies and see the person as a whole – not the wig as a distraction. The wide selection is displayed in a private nook to the right of the salon where one can shop the many different styles and colours and find one well-suited for age, face shape, and complexion. It is highly recommended to book a consultation in advance in order to be given the proper time and attention with utmost care. Carolyn herself spends many hours offering one-on-one consulting. She listens to the innermost personal stories of hair loss to finding solutions. And there is nothing more rewarding for her than seeing the positive results. In no time, you can look red carpet ready and feel like a star! Call us at 613-224-7206, or complete our appointment request form. We look forward to seeing you soon and making you feel and look red-carpet-ready.